On the 9th October I participated in the Welsh Government’s Stakeholder consultation event relating to the Draft Statutory Guidance for the National Training Framework on violence against women, domestic abuse and sexual violence. Responses to the consultation are invited by the 23rd October 2015 and the event provided an opportunity for representatives of relevant authorities, wider Public Services, Voluntary and Specialist sectors to shape the context of the guidance document. The draft statutory guidance relating to the National Training Framework is the first piece of guidance being developed in accordance with Section 15 of the Violence against Women, Domestic Abuse and Sexual Violence (Wales) Act 2015 which provides the Welsh Ministers with the power to issue guidance to relevant authorities on how, in the exercise of their functions, they could contribute to the achievement of the purpose of the Act. I believe that the National Training Framework is fundamental to improving the arrangements for the prevention, protection and support of individuals experiencing any forms of violence against women, gender based violence, domestic abuse and sexual violence in Wales. 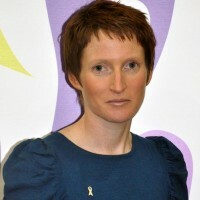 The overall aim of the framework is to create a consistent, quality assured approach to the content and delivery of training to professionals in order to strengthen and improve public service responses to any individual in Wales affected by violence against women, gender based violence, domestic abuse and sexual violence. The draft guidance proposes National training Standards alongside a flexible, localised approach to implementation based on need. Public Services – The National Training Framework aims to raise awareness of issues and impact of Violence against Women, Domestic Abuse and Sexual Violence to enable professionals to identify indicators, positively engage with individuals and ensure access to services. Public Services offer opportunities for early intervention and prevention and access to specialist services. Specialist Sector – The National Training Framework aims to provide an alignment to existing specialist training, further professionalise the sector and provide core requirements for providers in terms of learning and training for practitioners enabling specialist providers to demonstrate expert, high quality provision and management of services. The Framework proposes 6 groups – each group relates to a specific group of professionals and the training for each group has the overall aim of improving responses to those who have experienced violence against women, domestic abuse and sexual violence. We heard at the event of the progress made since the first consultation undertaken at the end of 2014. The E-Learning package for Group 1 went live in September 2015 – giving free access to this training for public service staff across Wales. Welsh Government has fully funded specialist sector training for Groups 4 and 5 and has published 6 videos in their Strengthening Leadership Series aimed at Senior Leaders. Work has also progressed in the development of the specialist subject syllabus. All of the above has been done in consultation with stakeholders and service users who have informed content, participated in and trialled the e learning. There was a consistent theme in the feedback of participants throughout the day and that was that without the leadership, engagement and support of Senior Leaders in Public Services we will fail to achieve the cultural and attitudinal change to Violence against Women, Domestic Abuse and Sexual Violence. As National Adviser I want to identify opportunities to engage with Senior Leaders in Wales and provide a focus to ensure that Violence against Women, other forms of Gender Based Violence, Domestic Abuse and Sexual Violence are priorities for Public Services. It was clear that stakeholders were engaged and wanting to work alongside Welsh Government to overcome these challenges and share their learning and experiences to ensure effective implementation of the framework. The draft Statutory Guidance outlines a five year plan for the National Training framework but this is not a five year piece of work. The initial 5 year implementation plan will need to be assessed in terms of its reach and effectiveness and further planning will be required after this initial 5 year phase. We should make no apologies for the ambition of this draft guidance – it has the potential to make far reaching improvements to the responses of public services towards Violence against Women, Gender Based Violence, Domestic Abuse and Sexual Violence and further professionalise our Specialist Sector enabling them to demonstrate expert, high quality provision and management of services.